Catladyland: Cats are Funny: Pre-order The Cat's Trapeze! Save $10! 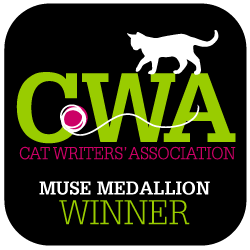 Pre-order The Cat's Trapeze! Save $10! Have you ever seen or heard of The Cat's Trapeze? 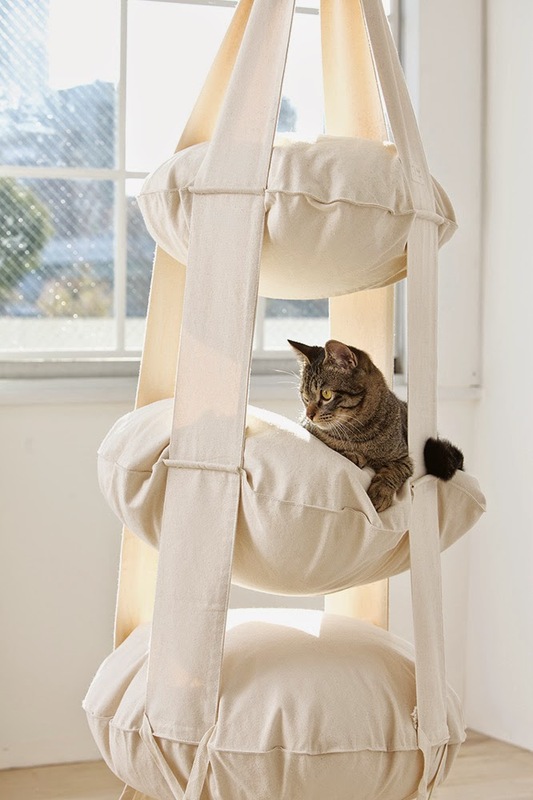 It's a really cool and comfy suspended cat bed and climber available with two or three pillows, and is made by the Dutch company, Van der Wurff Produkties. 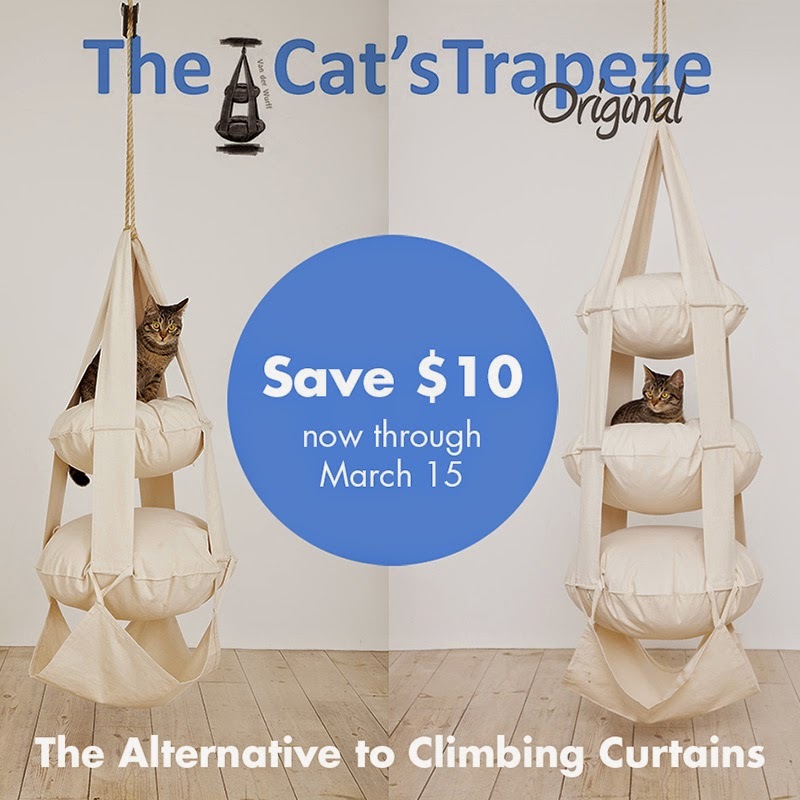 It hasn't been available in Canada and the U.S. for a little while, but a new shipment is coming in April, and The Cat's Trapeze and Catladyland are offering a $10-off pre-sale special! The two-pillow model measures approximately 3.5 feet tall, and the three-pillow model measures about 4.5 feet tall. And there's a bonus hammock that attaches to the bottom, giving kitty an extra napping spot. 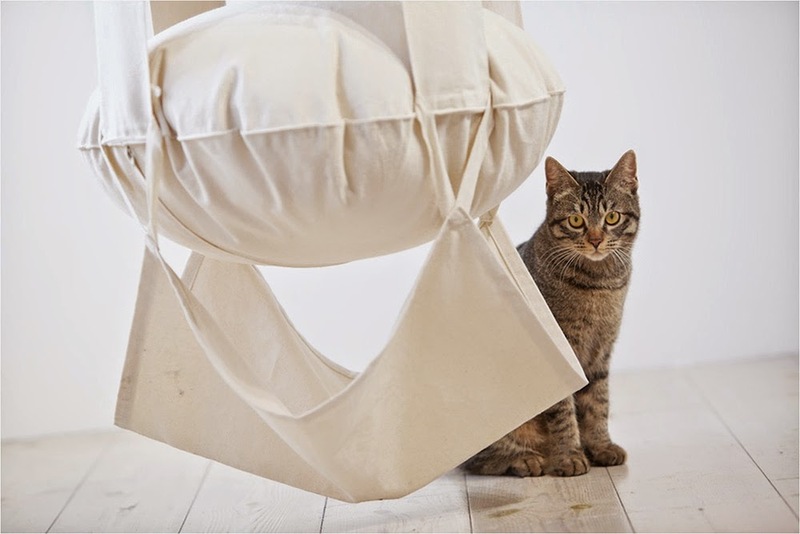 Both models ship without the pillow stuffing so you can stuff them with your own pillows or towels, making it perfect for your particular kitties' comfort. If you'd rather purchase the inner pillows from Cat's Trapeze, you can do that too! Visit catstrapeze.us to place your order. All pre-sales in the U.S. and Canada with ship in mid-April. The discount code is CLSAVE10, and is good through March 15. The two-pillow model usually sells for $99.99, and the three-pillow one sells for $124.99 (without the discount). The discount applies to multiple purchases.